A Very Shocking Video: Dr. Paul Craig Roberts Reveals A Bitter Truth - There Are NO Gold Bullion Reserves In America! For the last few years, I have been stating a very shocking truth here at this blog again and again... America has absolutely NO Gold Bullion reserves at all, period.... Few people have ever believed it, and many have still been promoting the lie that there is plenty of Gold "reserves" in both Fort Knox, Kentucky, and in the New York Mercantile Bank in New York City..... I have put up previous articles that state the fact on the contrary that all of the Gold in the United States was taken away from that nation decades ago. The question everyone should be asking is "Where is all the Gold?"... I have stated for a long time that the Gold Bullion is right now sitting in large Rothschild controlled vaults, most probably in Europe. That Gold has been hoarded by these ultra-criminals for the day when they implode all the world's economies and state to the world that they will "fix" the economies by forcing the entire world onto a "Gold based" currency... When they do that, these ultra-criminals will have achieved their long wanted world dominion because THEY will have all the Gold! — Jew Karl Marx, founder of Communism, quoted in the British Guardian, July-August, 1924. — 1980 Jewish Almanac, p. 3 (the writer is obliquely referring to the true history of the Eastern European Ashkenazim, or Khazars). — David Brown, President of American Hebrew, in 1934, quoted in Edmonson’s I Testify, page 188. — The Chicago Jewish Sentinel, October 8, 1942. — Brooklyn Jewish Examiner, October 20, 1933. (FDR was a demon seed Jew himself just like Churchill who helped him destroy Christian Germany). — Al Goldstein (publisher of Screw Magazine). — Henry Kissinger, Genocidal Globalist Jew, at the Bilderberg Conference in Evian, France May 21, 1992. “The easiest way to gain control of a population is to carry out acts of terror. [The public] will clamor for such laws if their personal security is threatened.” (Like the jew attack on the WTC on 9/11 that they blamed on Arabs with their ownership of the media). — (Rabbi) Josef Stalin, possible Crypto-Jew or non-Jew tyrant who pulled a “bonaparte,” taking advantage of Big Jewry’s destruction of Monarchist Christian Russia to install himself in power. — Jew Spy Jonathan Pollard during interrogation by the FBI. Make note that Pollard was born in the US and his spying put America in serious nuclear risk back in the 1980′s. — The major Israeli newspaper, Maariv, “The Jews Who Run Clinton’s Court” on September 2, 1994. — Ann Lewis, speaking for Hillary Clinton, at the meeting for Jewish Leadership sponsored by the United Jewish Communities on March 18, 2008 (Jewess Ann Lewis is sister to Homo Congressman Barney Frank). WW~Notes: Read these quotes twice or three or four times to reinforce the plain facts that this is what the enemy truly thinks, believes and lives with every fiber of their being. The mindset of the jew is nothing like anything I’ve ever encountered. It is foreign, alien, other wordly and totally unfamiliar in any human fashion. And for those who want to dig deeper into the truths about these criminals and their push for world control, I might suggest that they read up on the "Protocols Of The Learned Elders Of Zion"... It is their blueprint for world control. Yes, some critics have stated that the Protocols are false, but to them I say that it cannot be false because they have been following its guidelines to the letter! Back To My Roots: Exposing The Fraud Of NASA's Project Apollo And The Moon Landing Hoax - Why Are Astronauts (Still) Lying? NTS Notes: It has always been one of the biggest lies perpetrated by NASA that when someone is standing on the moon, they cannot see stars due to the blinding reflected light from the lunar surface.. But the fact is that the lunar surface is actually very poor at reflecting light having an albedo of somewhere in the neighborhood of 7% which is equivalent to asphalt here on Earth..... At that range of reflective ability, anyone standing on the moon would absolutely see the stars in all their glory just by looking up into the airless sky! The war on the Ukrainian people by the criminal US puppet regime in Kiev seems to be entering a phase where these criminals are indeed starting to shoot Ukrainian citizens. I for one am shocked by the actions of that criminal government in going into cities and towns in eastern Ukraine and actually murdering Russian speaking Ukrainians whose only crime it seems is their desire to seek the same type of referendum that Crimea successfully and peacefully ran last month to vote for separation from Ukraine to join the Russian Federation. But again the Jew run mainstream media has been spewing their lies in the world wide media that somehow these people are "rebels"... I had to stop and think a few times this last week about the usage of the term "rebels" as these so called separatists are being called... These people are not seeking the overthrow of the Kiev government at all, but are wanting a peaceful and absolutely legal right for a referendum to decide their own future. Therefore the term "rebels" is absolutely false and is being promoted by the liars and con artists in the media as meaning that they are somehow in "rebellion" against the US controlled puppet government in Kiev. The United States government cannot admit that they have made a grave error in being fully responsible for creating the mess in Ukraine, and therefore rather than admit their fault, have threatened Russia with war over the turmoil in eastern Ukraine. For the longest time we have had the liars in the Jewish run mainstream media promote the fraud that the "rebels" in eastern Ukraine were actually armed and led by Russians themselves. The truth came out many times that this was absolutely not the case and that the uprising in eastern Ukraine was actually very peaceful with no armed "rebels" anywhere in sight. The liars even promoted for the longest time the blatant lie that Russia was "massing huge forces" in Russia itself for a planned "invasion" of eastern Ukraine, which has now proven to be another whopper of a lie...... But the United States puppet regime in Kiev has now gone and sent in their own armed forces and have begun to shoot civilians in eastern Ukraine.... This act of cold blooded unwarranted murder is something Russia will not tolerate and they have of course now rightfully threatened military action against Ukraine to stop this senseless slaughter, and NOW have begun to build up their forces for possible intervention.... The situation is getting worse and worse by the day, and the United States may be in a full blown war with Russia itself by the end of this week! Why people continue to put up with the liars in the Jewish run media when it comes to Malaysian flight MH370's "disappearance" is beyond me..... Now over 50 days since that plane "disappeared" and the liars and scoundrels in the so called "media" are still spewing the fraud that this aircraft "crashed" in the southern Indian Ocean when it obviously and very logically was flown to Diego Garcia..... I mentioned to my friend, Whitewraithe, in our weekly telephone conversation just yesterday how I noticed in a CNN Youtube video how two lying reporters were standing on a map of the Indian Ocean in one of the CNN studios, and how they were very conveniently standing right on the very spot that Diego Garcia is located on that map!..... In such a way they would have the viewers focused exclusively on the eastern part of the Indian Ocean with Diego Garcia no where in the picture. How convenient is that? And it shows how the propaganda machine is still working on keeping everyone away from looking directly at the US military installation at Diego Garcia! When all is said and done, the United States Department of Defense is expected to spend over $1 trillionon acquiring a fleet of the fancy stealth jets. But while concerns have been raised repeatedly regarding the program for years now, some new reports suggest that the military might soon sign-on to buy other state-of-the-art aircraft. On Friday, former Government Accountability Office employee Winslow Wheeler wrote forCounterPunch.org that the latest report is a “major embarrassment” to the GAO given that the group’s report from last month made claims quite to the contrary. Others, however, have suggested that the number of future buyers may soon shrink as well: on Thursday this week, the Australian military was blasted in a harshly worded op-ed published in theBrisbane Times who condemned efforts to acquire F-35 for down under. So here we have the F35… Cannot fly in the rain… Cannot carry enough ordinance due to its ridiculous VTOL jets and configuration…. Cannot maneuver or fly as fast as its competition, again as a result of its VTOL configuration and added weight…. Has supposedly some horrific blind spots that an enemy fighter can use to blow it out of the sky…. Costs a king's ransom for each copy and that cost is rapidly rising…. And now does not have the stealth capabilities that has been the main selling point of the aircraft in the first place….. Honestly, what a waste of money…. I do wonder if you squeeze the F35 hard enough, you will indeed get lemon juice? We are right now on the brink of World War III, or so it appears…. Right now, the criminal US government is refusing to back down from their insane push for war with Russia over their newest puppet regime in Ukraine's failed attempt to secure the hearts and minds of the Ukrainian people…. The eastern Ukrainians, primarily Russian speaking, have seen the writing on the wall and know that their future does not sit with a Rothschild IMF enslaved Ukraine, but with the prosperous Russian Federation.. They, like their fellow Russians in Crimea before them, are rightfully wanting a referendum where they can lawfully secede from Ukraine and join the Russian Federation. Of course, the US puppet government will not allow these future slaves to escape, and they are right now brutally cracking down on these "terrorists" and "rebels"….. Russia will not sit idly by while Russians are being slaughtered and has threatened, and rightfully so, intervention to prevent a blood bath…. America physiologically, metaphorically, and socially is similar to the laboratory rat. Both tolerate similar repressive environments while confined to a maze. Neither can escape to find freedom. Unlike the rat, Americans accept their condition. Acquiescing without struggle to a life of controlled stimulation, manipulated by all manner of drugs, tests, and calisthenics they care not. In a recent study at the University of California/Los Angeles rats show the reason for America’s irrational disinterest in self-preservation. Across the world daily demonstrative resistance to the American empire increases. Americans offer no resistance at all. Social, economic, and political problems in the USA mirror those of an empire afflicted world, yet Americans would rather chew off their tails than find the energy to extricate themselves from their maze. Across the country examples of paltry public resistance abound. Why are Americans the only world example of this strange domestic malady; clinical apathy? The cause of this pervasive apathy seems to be clear in results from the UCLA study. Dr. Aaron Blaisdell, a professor of psychology at the UCLA College of Letters and Science and a member of UCLA’s Brain Research Institute, used rats to determine if a diet of poor quality processed foods resulted directly in obesity or if the initial result was fatigue. Dr. Blaisdell’s team placed thirty-two female rats on one of two diets for six months. The first, a standard rat’s diet, consisted of relatively unprocessed foods like ground corn and fish meal. As a substitute for a junk food diet the second Americanized group received highly processed food of lower quality that included substantially more sugar. The rats were given a task in which they were required to press a lever to receive a food or water reward. The rats on the junk food diet demonstrated impaired performance, taking substantially longer breaks than the lean rats before returning to the task. In a 30-minute session, the overweight rats became lazy due to their increasing obesity, taking breaks that were nearly twice as long as clean rats. The researchers also found that the rats on the junk food diet grew large numbers of tumors throughout their bodies. Those on the more nutritious diet had fewer and smaller tumors that were not as widespread. Dr. Blaisdell’s studying clearly indicates that junk food, while causing obesity, subsequently causes laziness and fatigue. The political cousin of these two symptoms is apathy. America leads the world in obesity and is spreading this capitalist disease. The more terminal disease for Americans is apathy. Causing America to lack interest in its own increasing internal peril, American processed junk food has become the most effective US government weapon for controlling its own population. Examples of irrational American apathy are obvious. In dozens of countries rebellion by their populations is growing despite brutal American inspired crackdowns. As the brutal force of the American Empire kills scores daily, resistance is not futile. It is daily. This is not the case in the American homeland. Canada and Mexico produced protests of over one million people. The Montreal student protests quickly grew from 100,000 to more than one million as their public responded to Canada’s attempted brutal reaction combined with new draconian laws. In Mexico City protesters hit the one million mark within minutes of the announcement of the most recent presidential election results declaring president-elect, Enrique Pena Nieto, the victor. Thanks to American made Diebold electronic voting machines, the result had been rigged. Everybody knew it. They were mad as hell. They went to the streets. At the 2012 Democratic national convention in Charlotte, North Carolina the government expected trouble. Uncle Sam knew his people also had good reason to take to the streets. After four years of Pres. Obama high unemployment, a growing authoritarian state, endemic corruption in banks, business, government, and sports had become the American lifestyle. Taking no chances the federal government provided Charlotte $50 million, and added $50 million, to defend Pres. Obama from, “the people.” This funding produced a truly awe-inspiring showcase of America’s domestic authoritarian arsenal. The American Gov’t was ready to take on America’s best shot at resisting the new definition of democracy. Anyone coming to Charlotte found that walking the streets was a laboratory experiment in itself. The maze was there, consisting of miles of continuous sixteen foot high metal, crowd-proof, fencing along the entire preselected boulevards. Hordes of cops funneled protesters into the maze at every intersection while hundreds more, all dressed in full riot gear, kept the loonies on the path. New vehicles were everywhere from ATVs and MRAPS, to refrigerated trucks and golf carts. Dozens of brand new “Police” mountain bikes and moto-cross bikes stood in rows, or under fat cops who sat watching menacingly. No less than four helicopters were in the air at all times. Police cars, state, federal, and local were everywhere. CIA had commandeered a local junior college and US Army troops maintained defenses. That was just the front lines. National Guard personnel, some sitting on tanks and armored vehicles, stared back from behind fences and gates. Row upon row of street cops had come from everywhere across America to defend their president. Shoulder badges revealed police department insignia from as far away as Austin Texas, Chicago Illinois, New York City, and Albuquerque, New Mexico. The cops need not have bothered. The largest protest of the six-day event was a paltry 2000 people. Almost all other protests numbered no more than three hundred. The protesters were always outnumbered by the cops and the press. Considering Charlotte has over 150 million Americans within a five hundred mile drive, why such a paltry, ineffective, impotent turnout throughout the six day event? Why? Dr. Blaisdell’s rats are exposing the fundamental of this malady. The toxic combination of engineered food and endemic apathy is causing a sickness infecting Americans. Despair. America’s diet is factually the worst in the world. GMO ingredients are in eighty-five percent of all processed foods. In December 2013, Professor Irina Ermakova, vice president of Russia’s National Association for Genetic Safety, called for a 10-year ban on GMO foods. Ermakova conducted GMO rat-feeding tests that showed alarming results, including extreme mortality rates. “It is necessary to ban GMO, to impose a moratorium for 10 years. It has been proved that not only in Russia, but also in many other countries in the world, GMO is dangerous,” he concluded. In Volgograd on April 5, 2014, Russian Prime Minister Medvedev, in support of a Russian ban on GMOs, stated succinctly, “If the Americans like to eat GMO products, let them eat it then. We don’t need to do that; we have enough space and opportunities to produce organic food.” China, France and the United Kingdom have similar bans. Choosing willful ignorance, GMO labeling laws have been defeated in state referendums, so Americans have voted not to know that food-borne poison is indeed contained in the what they eat. This, too, seems to reinforce Dr. Blaisdell’s findings of continuing American mental decline. Their conclusion is that Roundup, hence glyphosate, is found in the main foods Americans eat such as sugar, corn, soy and wheat. All are found in processed foods. Its damaging effects accumulate slowly but consumers do not realize this until it is too late. Economically bankrupt America has families with both Mom and Dad working, the kids in daycare, and the home-cooked family meal a relic of an American Dream long gone. Replaced with fast processed food the ongoing degradation of the American mind, applied to Dr. Blaisdell’s laboratory rats, shows that American apathy is directly proportional to their diet. A failing mind combined with a failing educational system is an authoritarian regime’s utopia. Here lies the insidious, more dramatic and sinister result of American apathy. It is one thing for Americans to willfully allow themselves and their nation to go to the gallows of history. They continue to vote for their own Armageddon. If Americans are content to be lead down the path of a faux two-party system of Gov’t let them have what they wish. Once it is too late, their future will be the degradation of Greece and Cyprus present. But in allowing America to take their souls these same apathetic Americans willfully allow their Gov’t to rob the livelihood and futures of the remaining world. When considered carefully apathy, American apathy is a crime. A crime against humanity. The checks and balances of humanity on Empire are gone in America. Implicitly Americans are complicit in the further destruction of the world. When the dust of an oncoming, rampaging history have settled over the folly of American empire, guilt for the accumulated horrors of its historical legacy will sit squarely on its people’s heads, as much as their obviously treasonous politician’s. Indeed. The laboratory rat continues to be smarter than her Americanized counterpart. The rat desires freedom. He will bite his master. Under the bright laboratory lights of oppression the lab rat will do what Americans no longer have the mental ability to do. The rat, ever more desperate, will find a way to escape. Finding the will and the courage, the rat rises-up on his two hind legs, peers out over the top of the maze, and sees the obvious way out. America has no such remaining instinct. NTS Notes: One of the main subjects that I have covered for the last 7 years at this blog has been the importance of Health and Health related issues, including the major poisons used in our diets to turn us all into mutton chomping brain dead sheep…. The pushing of horrific poisons in the American diet has worked beyond the criminals' wildest dreams, because most Americans are now apathetic, obese, and basically brain dead…Most are interested in the happenings of the sickness known as the "Kardashians" than care about their nation's impending economic collapse and the push for war by their criminal government! This article lays it on the line and shows that one of the primary reasons that Americans are too lazy to rise up against the actions of their own tyrannical governments…. The introduction of major poisons in the American diets from Fluoride in the 1930's, to Aspartame in the 1980's, and of course the vast usage of High Fructose Corn Syrup from the 1980's as well, has been by design by the criminal Jewish elite to turn most Americans into zombies…. The result is indeed some 300+ million Americans now unable to do anything as their criminal regime in Washington now pushes the world to the brink of annihilation! The writing is indeed on the wall for the United States…. Unless the American people wake the hell up and out of their slumbers, their nation will shortly cease to exist…. I can guarantee that when the United States does collapse, few around the world will have pity for the nation that has done so much ruination globally…. Again, as before… Wake the hell up, America! Important Health News: 18 Scientifically Validated Reasons To End Public Water Fluoridation! With the world teetering on the edge of a new world war that this time will indeed be caused by the United States of America, I have wondered how the American public could stand almost idly by while their criminal government pushes the entire planet to the edge of oblivion.... The answer may lie in the fact that for decades now the American people, and the people of other nations as well, have had their brains turned to mush through the use of nefarious chemicals in the very foods they digest, as well as FLUORIDE in their drinking water. Many people are coming to realize that far from improving dental health, the fluoridation of municipal water and many store bought foods and drinks is actually detrimental to our overall health. What was once a widely accepted practice is now being scrutinized and condemned by many prominent physicians and free-thinkers, and the scientific evidence to support these condemnations is mounting. Recently a Harvard medical study claimed that ingesting fluoride leads to a loss of IQ in young children, which is remarkably frightening by itself. Fluorine is the world’s 13th most abundant element and constitutes 0.08% of the Earth crust. It has the highest electronegativity of all elements. Fluoride is widely distributed in the environment, occurring in the air, soils, rocks, and water. Although fluoride is used industrially in a fluorine compound, the manufacture of ceramics, pesticides, aerosol propellants, refrigerants, glassware, and Teflon cookware, it is a generally unwanted byproduct of aluminium, fertilizer, and iron ore manufacture. The medicinal use of fluorides for the prevention of dental caries began in January 1945 when community water supplies in Grand Rapids, United States, were fluoridated to a level of 1 ppm as a dental caries prevention measure. However, water fluoridation remains a controversial public health measure. This paper reviews the human health effects of fluoride. The authors conclude that available evidence suggests that fluoride has a potential to cause major adverse human health problems, while having only a modest dental caries prevention effect. 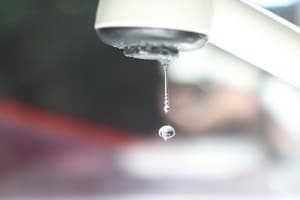 As part of efforts to reduce hazardous fluoride ingestion, the practice of artificial water fluoridation should be reconsidered globally, while industrial safety measures need to be tightened in order to reduce unethical discharge of fluoride compounds into the environment. Public health approaches for global dental caries reduction that do not involve systemic ingestion of fluoride are urgently needed. “Fluoride is a known enzyme disruptor. For example, fluoride’s anticaries effect is derived in part from its ability to derange the enzymes of cariogenic bacteria [20, 21]. Fluoride can interfere by attaching itself to metal ions located at an enzyme’s active site or by forming competing hydrogen bonds at the active site which is not exclusively just on the teeth . If your city goverment hasn’t yet seen the light and eliminated this poison, do yourself and your family a favor and switch to using filtered water in your home. Berkey makes an excellent filter that when couple with the fluoride units, makes it easy to avoid fluoridated drinking and cooking water. You can also get a shower head filter that prevents you from absorbing fluoridated water through your skin each time you shower. The science is in, fluoride is dangerous to your health. Please be advised, and share this news with your friends and family. The reason why Fluoride has been added to our drinking water should be obvious by now... The criminal Jewish criminal elitists who want their one world government do not want their future slaves to rise up against their plans. Therefore they have had their minions purposely add Fluoride to water to use its neurotoxic effect on our brains to turn everyone into docile sheep that are unwilling to revolt..
Everyone should do their part by demanding their local governments end water fluoridation immediately. The poisoning of peoples' minds must be ended and people must indeed wake up from their chemicalized slumber. That time is now.